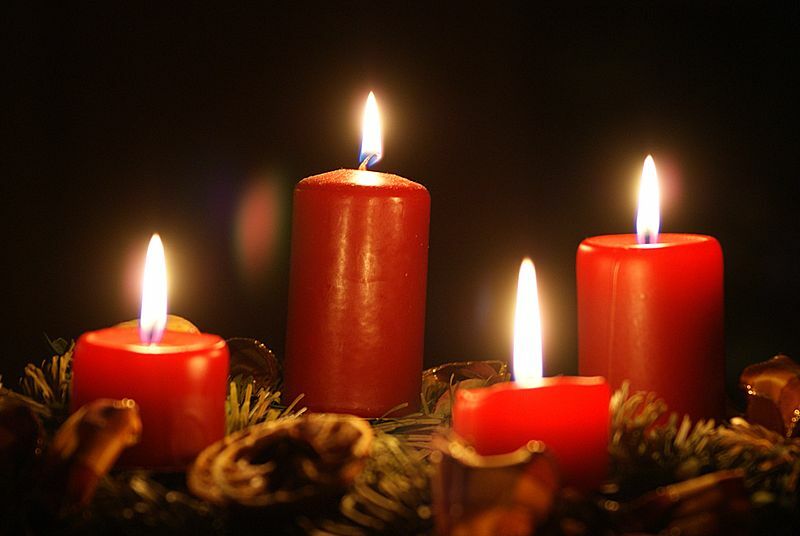 4 December is the second Sunday of Advent. Isaiah 11:1-10. Isaiah prophesies the coming of a righteous ruler out of the stump of Jesse. Psalm 72:1-7, 18-19. A psalm in praise and intercession for a righteous king, such as the one foretold in Isaiah. Romans 15:4-13 A call for Jewish believers in Rome to welcome Gentiles into full fellowship, even as Christ, “the root of Jesse,” has welcomed them all. By the power of the Spirit, Jewish and Gentiles alike can abound in hope. Matthew 3:1-12 John the Baptist appears in the wilderness proclaiming repentance and offering baptism as preparation for the kingdom of God drawing near. Adoration Focus: Choose a spot where you can look closely at a flower. After a few moments lift up your praise to God. Confession: Lord God, I am often preoccupied with rush, deadlines and pressing concerns. I have neglected to keep watch. This week list the areas of your life that pull you out of “keeping watch”. As you list these areas pray that God would grow you in trust and obedience. Pray that he would lead you into a new way of “watchful” living. Shared Focus: This week we simply lift an area of concern. You are invited to pray into this area as God leads you. Today: The church you are part of. Dedication: Lord, today I will acknowledge your reality. I open my heart to you. Lead me to your still waters. Surprise me today! Adoration Focus: Think of a meaningful relationship that you have shared or are sharing with someone. After a few moments lift up your praise to God. Shared Focus: This week we simply lift up an area of concern. You are invited to pray into this area as God leads you. Today: The Churches in your neighbourhood..
Adoration Focus: In your minds eye reflect on a small innocent child. After a few moments lift up your praise to God. Shared Focus: This week we simply lift up an area of concern. You are invited to pray into this area as God leads you. 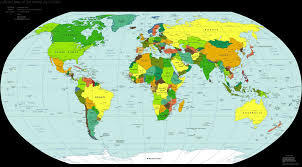 Today: The outreach of the Church throughout the world. Adoration Focus: Spend some moments looking into water. It could be in a pond or even in a glass. After a few moments lift up your praise to God. Shared Focus: This week we simply lift up an area of concern. You are invited to pray into this area as God leads you. Today: Conflict torn areas of our world. Adoration Focus: If possible Light a candle and look at the flame (if not just imagine a candle burning). After a few moments lift up your praise to God. Shared Focus: This week we simply lift up an area of concern. You are invited to pray into this area as God leads you. Today: Anyone you know who is seeking for direction. Adoration Focus: Look at your own hand. After a few moments lift up your praise to God. Shared Focus: This week we simply lift up an area of concern. You are invited to pray into this area as God leads you. Today: The created world. Adoration Focus: Reflect firstly on Christ in the manger. Then see him on the cross. After a few moments lift up your praise to God. Shared Focus: This week we simply lift up an area of concern. You are invited to pray into this area as God leads you. Today: For all those who gather to worship God. That their worship may be a joyful witness to others. Sunday 27 November begins the season of Advent. A season of longing, expectation, looking for the coming of God. In this season we stand with the world as it yearns for salvation. 27 November is the first Sunday of Advent. Isaiah 2:1-5 Out of the house of the Lord shall come wisdom and instruction, and all nations will convert their weapons of war into implements for sustaining life. Psalm 122 A psalm rejoicing in Jerusalem, a foretaste of what Isaiah prophesies. Romans 13:11-14 Salvation draws ever nearer, so live in the fullness of Christ, freed from the power of sinful desires. Matthew 24:36-44. The coming of the Son of Man will be a surprise, so stay on the lookout! Dedication: Jesus Christ, Living Bread, feed us now so that we may touch the hunger of this world with your nourishment. Shared Focus: See Monday. Today we pray for those who hunger for peace. We pray for countries, for homes where there is stress and aggression, for those who cannot sleep at night. Confession: In our confessions this week we use lines from a prayer by George Appleton. Today: O Holy Spirit, author of holiness: sanctify my spirit. Shared Focus: See Monday. Today we pray for all those who hunger deep in their souls, that they may be fed with the Bread of Life. I am in the middle of relocating to a new ministry post and so as a way of taking the pressure off weekly blog posting and ensuring some form of continuity through Advent I have used a series of daily readings which don’t follow the Revised Common Lectionary for Year C. The short readings will take us through the good news of God coming to ‘pitch His tent among us’ and the reflections and prayers will enable us to bring this into our everyday lives. I will put some links under Weekly Rhythm that will direct you to other Revised Common Lectionary Resources and we will be back to the normal schedule after Christmas Day! DOWNLOAD THE DAILY ADVENT READINGS AS A PDF HERE. Reflect: Abraham, ancient ancestor of Jesus, received the instruction from God to offer His only Son. Faithfully he set out to obey Him. As he reached the point of sacrifice he got a reprieve. Later, God would go the full length in sacrificing His only Son. Though Jesus prayed in Gethsemane, “If there is any other way, take this cup from me…” (Matt 26:39) no such reprieve was given. Pray: Thank God for sacrificing His only Son. Reflect: It’s all too easy to gloss over sin and explain it away. This psalm won’t let us do that but instead brings hope without ignoring the messiness of sin. It describes the rawness of someone taking the worst to God and still finding mercy. Pray: Thank God for Jesus. Make this psalm your own by praying it aloud. Confess your sins, receive God’s mercy and recommit yourself to love and serve Him. Reflect: God’s people had been in exile, far from home, for many years. Rescued by God, they praise Him for all He has done for them. Centuries later, Jesus would probably also have sung this psalm as he went up to Jerusalem at Passover. This Christmas, let’s celebrate what God has done for us through Jesus – what great things for us! Prayer: Praise God for sending Jesus to rescue us from sin. Reflect: A baby may seem a small thing as a sign of hope. But when His name means ‘God with us’ then there is hope. When God offers a sign of hope, no matter how small the glimmer, it’s worth clinging to with everything we’ve got – because no matter how bad things look, then ‘God with us’ is the best that there can be. Thurs 10th December – GET READY! Reflect: For God’s captive, exiled people this prophecy brought good news – one day they’d be set free. As Christmas approaches, what might it mean for us to ‘Prepare the way for the Lord’ (v3). When John the Baptist quotes this verse (John 1: 23), it’s clear that it’s about repentance – preparation to allow God into our hearts. Reflect: Isaiah sensed that God’s saving plan would only come through suffering. Israel was expecting God’s Saviour, but what would He be like? Humble, vulnerable, not good-looking, no oozing charm; He’s the one people overlook. He knows about pain. Read verses 4 – 6 again slowly as you meditate on Jesus’ death on the cross for you. Mon 14th December – GOOD NEWS! Fri 18th December – SURPRISE! Reflect: Whereas Herod was desperately scheming to prevent a challenge to His throne, a star in the sky proclaimed Jesus’ authority and His kingship. While Herod turned to advisors and experts to decide what to do, God sent a dream and an angel with instructions for the protection of the King Jesus. Pray: For Christian leaders in all areas of society to base their authority in what God says about them, rather than in the power struggles of this world. John van de Laar’s thoughts may be found at his website Sacredise. The United Methodist Church (USA) has good resources for bible study and worship preparation. For those of you who enjoy podcasts try Pulpit Fiction, a lectionary podcast for preachers and bible geeks! Christine Sine shares many different approaches to the church year at Godspace, including an advent photo-challenge and a free, downloadable colouring book!